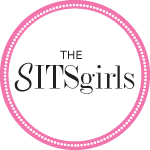 It’s time of my Wednesday Weigh-In and I am excited to announce a new challenge over at The Sisterhood of the Shrinking Jeans! Seriously check it out! I mean it! Start off the 2010 with a bang! Its a 7 week challenge and seriously who can’t commit to 7 weeks?! Check out more info here! I must admit when I weighed in this morning I stepped on the scale with both eyes tightly shut. I peeked with one eye to check out what the scale had to say. 163.4. So I gained some weight back. I am determined to not beat myself up over it. Its true that I shouldn’t use the holidays as an excuse to eat whatever I want. I completely understand that and I’ve got no one to blame but my parents for baking such wonderful cookies myself. But its in the past and a new day has dawned! Thankfully Abby must have known that the new challenge was starting today so she actually slept through the night! In her crib! In her room! Even with Daddy gone! I was floored! Her teeth finally popped through so hopefully we will all rest a little easier (at least until she decides to cut her next two). So with a good night’s sleep under my belt, I got up bright and early and had a morning workout with Jillian and the 30 Day Shred. I so wanted to curse at the TV (but that wouldn’t be very polite would it?). If you’ve done the workout, on Level 1, she says that if you are having trouble keeping up to follow Natalie (who does modified versions of the exercises). What if you can’t keep up with Natalie?! But I made it! I may not be able to move later but I made it! One day at a time, right? Previous postYay! Its Post-It Note Tuesday! Next postFriday Words of Faith – Happy New Year!